If you asked me a year ago where I thought I’d be traveling to, I can’t say that Svalbard would have been on my list, although this is mostly because I didn’t really know it existed. In my mind, “The Arctic” was the overarching name for some far-off frozen tundra that was both barren and daunting. I pictured it to be an inaccessible landscape visited only by smarty-pants researchers, Santa Claus, and fancy National Geographic photographers who ventured to the top of the world in order to give the rest of us proof that polar bears really did exist. Fast-forward a year and I am now an expert in polar travel. I say the word “Antarctica” close to 817 times a day at work, penguins have become a regular topic in my life, I can’t stop talking about walruses, and I just returned from a trip to the elusive Arctic itself. Life is wild, let me tell you. When it comes to my trip to the Arctic, I don’t quite know where to begin. (Dare I say that I’m speechless.) From the chilly glacial landscape to the walruses lazily sunbathing their massive 2,000 pound bodies on the ice, it was phenomenal through and through. I had the privilege of sailing aboard the Ocean Adventurer, a ship operated by Quark Expeditions, a fantastic company that specializes in polar travel. As mentioned in my previous post, the goal of this trip was to experience the region in all its glory so that I can accurately share my thoughts to both colleagues and clients. And to have the time of my life, that was on my list of things to do as well. I flew from Seattle to Oslo (which was surprisingly very warm), then moseyed up to Longyearbyen in Svalbard (which was unsurprisingly very cold). From there, I hopped aboard my new home for the week, the Ocean Adventurer, and off we went into the Arctic abyss! One thing to keep in mind with expedition-style travel is that it is in fact an expedition. Basically that means that you are going to a remote region and flexibility is key; Mother Nature is a beautiful beast that can sometimes change your plans at a moments notice and you can count on wildlife to only appear as it pleases. As an expedition traveler you are a keen observer of the world, privy only to what nature wants to deliver to you, when she wants to. Luckily, Mother Nature was extraordinarily kind to us. The weather was beautiful – I even napped on the deck in my parka under the warm-ish Arctic sun – and there were only two days that we couldn’t reach land or go on a zodiac cruise (zodiacs are the little boats that allow you to get up close and personal with the land). We were also honored by the presence of five (!!!) polar bears, a scary amount of breeding birds with fancy names I did not commit to memory, and my personal favorite – walruses. I LOVE THE WALRUSES. To be honest, I will probably have a post dedicated to them alone – they are just the most glorious creatures that eerily resemble russet potatoes. Just look at them! As for the day-to-day, I was up each morning at 7am for breakfast, boarding a zodiac by 9, gazing lovingly at beautiful 2,000 pound potatoes at 10, back on the boat eating lunch at noon, cruising through ice-filled obstacle courses via zodiac at 2, scarfing down dinner at 6, getting pruney in the outdoor jacuzzi from 9pm-1am, and doing it all over again a few hours later. It was perfect in every way. Also, I 10/10 recommend getting in a hot jacuzzi while sailing past snow-capped mountains in the frigid nighttime air. It’s a pretty fantastic time. Another fun thing is that we happened to sail over June 21st, which is the summer solstice, or the longest day of the year. So while everyone was getting jazzed about 18 hours of sunshine, I was on the top of the world under the mighty midnight sun that never dipped past the horizon. I have to say, it was pretty neat to spend a full 24-hours basking in the sunshine, including lazily soaking in a jacuzzi at 2am with a cold beer in hand while a pod of dolphins gracely dove in and out of the water right beside our ship. Yes, that happened. I couldn’t have made it up if I tried. The only downfall of constant sun is that you really lose track of time. Usually, if it gets dark my body says, okay wrap it up we need to go to bed. In the Arctic, I would be walking around the ship at 3 in the morning and realize, oh shoot- I should probably be sleeping right now. It’s a weird feeling and makes me appreciate the nighttime even more now. I also had the chance to get real up close and personal with the environment by plunging in the chilly waters of the Arctic Ocean. It really wasn’t as bad as I thought it would be; it only felt like 1,000 steeley knives going into my chest at the same moment, then a full-body numbness, followed by a kick of adreline and finally pure happiness. 10/10 recommend. GET YOURSELF TO THE ARCTIC! As far as trips of a lifetime go, this ranks one is pretty high-ranking in my book – and possible for any type of traveler. If you are in search of a unique off-the-grid trip filled with jaw-dropping scenery and fantastic wildlife viewing, then I highly recommend meandering up to the top of the world. 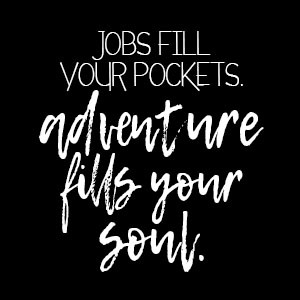 All you need is an adventurous spirit, a sprinkle of flexibility, and a whole lot of curiosity and you are good to go! Plus, how can you resist the chance to see a polar bear!? Thank You for this awesome post. I would love to visit there someday, but there is so much to see in our World. Regards from Finland. Oh man the summer sun fucks with my internal clock so much! I’ve never been far north enough where it doesn’t set at all, but I spent two summers north of Stockholm and it only gets kinda dusky for like 2 hours before it’s back up again! You definitely forget that sleeping is supposed to be a thing. AMAZING POST!!! This is so high on my list! Thanks for sharing!